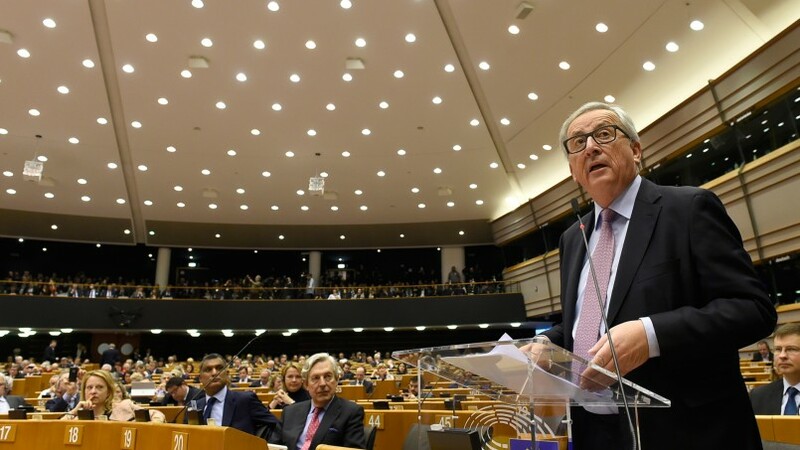 The European Commission is taking a clear-eyed look at Europe's future. On March 1, the institution presented a report proposing five different visions for what the European Union might look like in 2025. The report will doubtless take center stage at the EU summit in Brussels on Thursday and Friday between discussions of such issues as migration, security, defense and the economy. Along with suggesting that member states could integrate at different speeds, the white paper raises the possibility that EU member countries may regain control of some prerogatives currently under Brussels' authority. This idea represents a marked departure for EU leaders. Since the bloc's inception six decades ago, its goal has always been to progressively delegate national policy decisions to supranational authorities. Every institutional reform since the 1950s has furthered this goal, giving Brussels more responsibilities. Though EU officials have said they oppose weakening the supranational institutions, the white paper nonetheless speaks volumes about how things have changed in Europe. However unusual the report may seem, Europe has already tried many of the ideas outlined in it. Integration in the Continental bloc, for instance, has been moving at multiple speeds for decades. Some members use the euro as their currency, while others don't. Some are members of the Schengen Agreement allowing passport-free movement, while others aren't. And some countries are exempted from participating in EU structures on domestic affairs and security cooperation. But prior to the white paper's publication, the bloc's central expectation was that all EU members would converge one day, if only in the distant future. ** Can the Islamic State and Al Qaeda Find Common Ground? Several forces continue to drive a wedge between the two groups. Perhaps the most superficial is a clash in personalities, especially among the upper ranks. A great deal of animosity seems to exist between the Islamic State's self-proclaimed caliph, Abu Bakr al-Baghdadi, and al Qaeda chief Ayman al-Zawahiri. 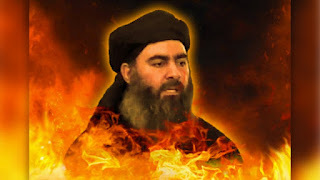 (Al-Baghdadi also despises Abu Mohammed al-Golani, the leader of Hayat Tahrir al-Sham, the Syrian rebel group formerly known as Jabhat al-Nusra.) Their enmity has been made clear in the groups' propaganda: Islamic State literature routinely makes direct, personal attacks against al-Zawahiri and al-Golani. For instance, the Islamic State's English-language magazines, Dabiq and Rumiyah, have depicted al-Zawahiri as a manipulative and dishonest man, repeatedly labeling him a "deviant" and accusing him of abandoning "the pure heritage" Osama bin Laden left behind. The Islamic State has also dubbed al Qaeda "apostate sahwat," likening it to Iraq's so-called Awakening Councils. Considering the group likewise labeled the Taliban (whose leader al Qaeda has pledged allegiance to) apostates in its March 7 edition of Rumiyah, its hostility toward its al Qaeda rivals doesn't seem to have softened much amid its stinging battlefield defeats. By the turn of this decade, a little less than 50 paise of every rupee generated in India’s telecom market will come from data and other non-voice revenue streams. Reliance Industries chairman Mukesh Ambani is leading the charge in India’s telecom market by prioritising and investing in data like no other telecom operator has done before. He said at a conference recently that data is the new oil. And emerging trends in the telecom market show that Ambani has not made the comparison between the two ‘natural’ resources too soon – data dominance is indeed the new reality for India’s telcos. Reliance's Jio entered the telecom market last September. It focused on data, employing a 4G-ready network and promising unheard-of data speeds while offering voice calls for free, for life. This gimmick has already lead to a fundamental shift in the market, with incumbent telcos Bharti Airtel, Vodafone India and Idea Cellular compelled to launch plans matching Jio’s offer. Data is indeed the new oil. Sample this: Analysts at Deutsche Bank AG have said in a note to clients that they expect growth in voice revenue for telecom service providers to decline at 0.5 per cent compound annual growth rate (CAGR) over the next five years. During the same period, however, non-voice revenues should grow at 21 per cent per annum, driven by 26 per cent growth in internet data revenue. The rapid growth in data is likely to impact voice usage – a trend that has played out in every major telecom market around the world. Saab is offering an active electronically scanned array radar for India's Tejas Mk 1A fighter. "The AESA fighter radar is developed by Saab with antenna technology based on the latest technologies using Gallium Nitride (GaN) and Silicone Carbide (SiC) substrates in combination with the latest generation of exciter/receiver and processor technology, giving optimum installed performance in a dense signal environment," according to a company news release. 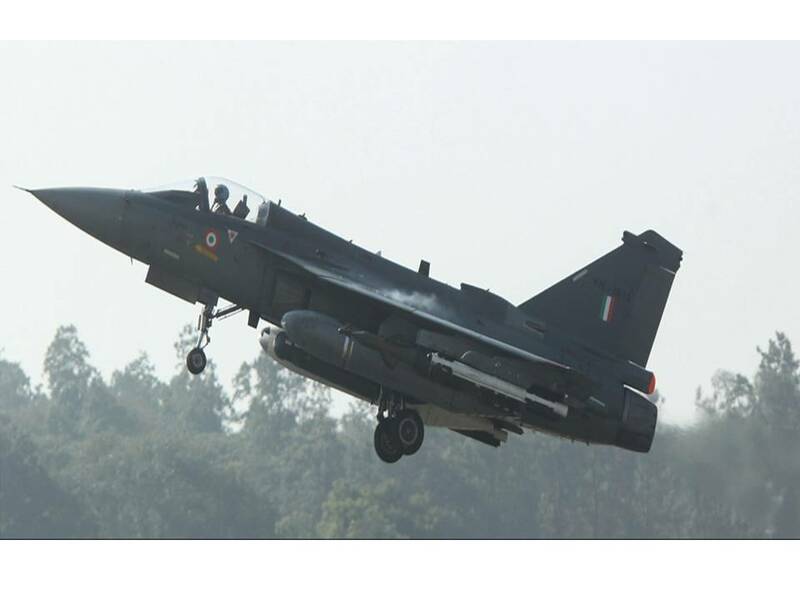 In addition, Saab is offering an electronic warfare suite for the Tejas. "The heart of the suite is an electronic warfare receiver which is connected to a front end receiver and fin tip antennas inside the aircraft," Saab said. Pakistan's former national security adviser Mahmud Ali Durrani today said the 26/11 Mumbai attack was carried out by a terror group based in Pakistan and called it a "classic" example of cross-border terror. At the same time, he, however, said the Pakistani government had no role in the attack. Durrani was speaking at a conference on combating terrorism at the Institute of Defence Studies and Analysis. 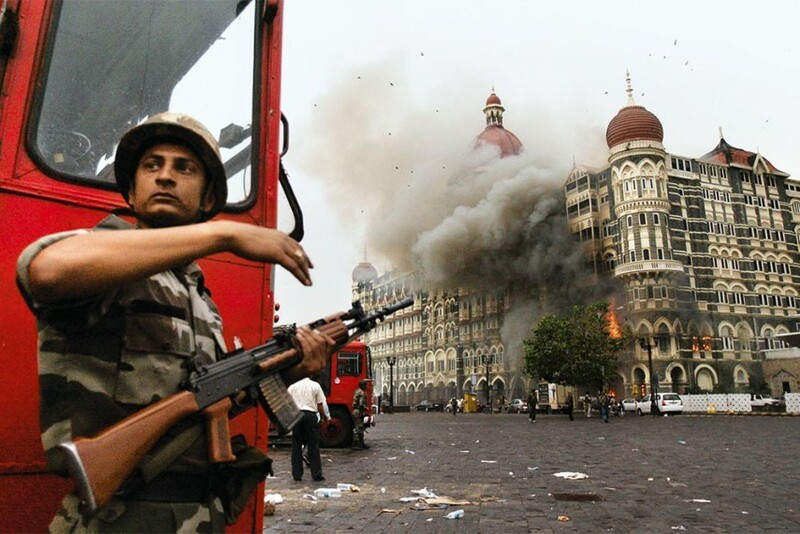 26/11 Mumbai strike, carried out by a terror group based in Pakistan, was a classic trans-border terrorist event, he said. India's defence procurement and modernisation: Can a new organisation fix the persisting problems? A committee nominated by India’s Ministry of Defence has recently submitted its recommendations for integrating and streamlining the defence acquisition process by raising a Defence Procurement Organisation. As per information available, this new organisation, headed by a Secretary-level official, will function as a new ‘vertical’, directly under the Defence Minister, with the objective of optimising and integrating the procurement process, media reports suggest. No doubt, such a measure was long awaited and will remove some of the glitches in the existing system. However, keeping in view that many past changes, structural and procedural, to energise the defence acquisition process have fallen by the wayside, without providing discernible dividends for the military, it may be useful to analyse this new development critically to predict whether the outcome on account of this change will be any different. Any measure of success of attempted improvements in the defence procurement system would be best determined by measuring the likely resultant outcomes, both qualitative and quantitative, in ‘capability development’ of the Armed Forces. But if everything is sophisticated, nothing is. This has relevance to the broader world of cybersecurity. In short, network defenders and observers should think more carefully about what exactly goes into “sophistication.” Upon a more detailed review, many intrusions simply don’t live up to the billing. What does a more rigorous examination of sophistication look like? David Aitel, a veteran of the NSA and CEO of Immunity, looked at different measures of technical prowess and investment in malicious code. For example, intruders that take great care to preserve operational security – such as by creating custom code for each target, not re-using infrastructure between operations, and the like – are different from those who are sloppier or in a rush. Aitel wasn’t writing about sophistication directly, but if one starts to add up the various technical components in his model, together they start to look like something approximating sophistication. More sophisticated operators have more developed operational security, testing facilities, and so on. Full sophistication in every area of an operation isn’t always possible. The best intruders recognize that, with limited budgets and time, they need to understand what kinds of investments will make the most sense for a given operation. The idea of setting up a centralized public asset management company (PAMC) or “bad bank” to solve the problem of stressed loans is gathering steam. The Economic Survey 2016-17 proposed the setting up of a public sector asset rehabilitation agency (PARA), which is essentially a centralized bad bank. 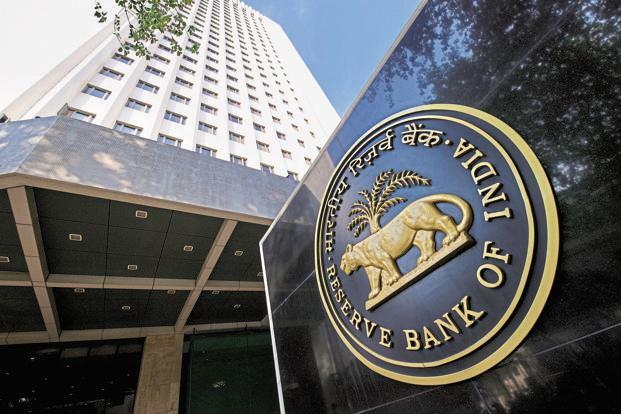 In a recent speech, Reserve Bank of India (RBI) deputy governor Viral Acharya said there is a “sense of urgency” to decisively resolve Indian banks’ stressed assets. One of his proposed solutions is the creation of a PAMC for sectors in which assets are economically unviable in the short-to-medium term, like the power sector. A day after the speech, chief economic adviser Arvind Subramanian re-emphasized the need to create a bad bank “quickly”. The Goods and Services Tax will be truly transformational when domains like real estate are brought in its ambit. After the steps taken to reduce black money and streamline election finance, the natural follow-up is to clean one of the biggest sources of black money — land and real estate. And the natural way to do that is to bring the supply of land and real estate (hereafter LARE) into the GST. At the moment, the GST law does not include LARE, but there is still a window to fix that in the GST Council meetings in the months ahead. Before we spell out the details, a few clarifications are in order to clear misconceptions and misinformation, some of which appear to be perpetrated deliberately by vested interests with a stake in preserving the murky status quo. The first misconception is that stamp duties will be brought into the GST. 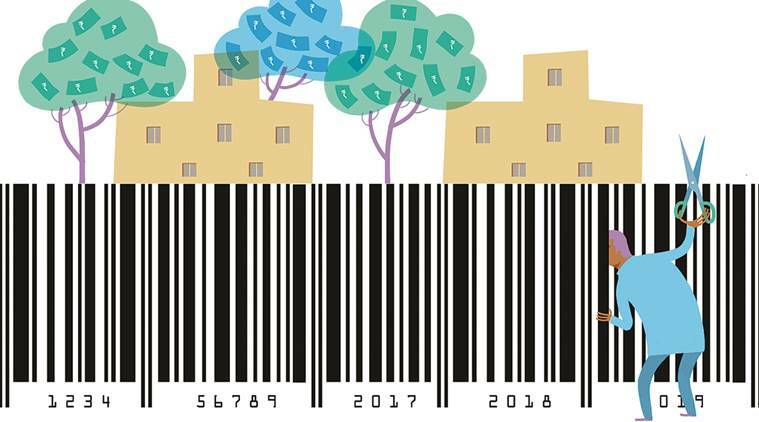 Many states have refused to entertain bringing LARE into the GST, fearing that their right to levy stamp duties on the sale of land — a big source of state revenues — will be taken away from them. This fear is unfounded. There is no such intention; stamp duties will remain untouched. In a meeting with the National Security Council staff, McMaster reportedly argued that it was wrong to use “radical Islamic terrorism” because the terrorists to whom Trump would apply the term are, in fact, un-Islamic. His assessment, however, ignores the clear religious dimensions that this phenomenon possesses, namely the Salafist ideology that animates so many acts of violent extremism. At the same time, Trump’s use of the term implies that Islam is somehow inherently associated with terrorism. Much of the world seems to be on edge. The West’s relationship with Russia, the future of Nato (North Atlantic Treaty Organization), the Syrian civil war and refugees, rising right-wing populism, the impact of automation, and the UK’s impending departure from the European Union: All these topics—and more—have roiled public debate worldwide. 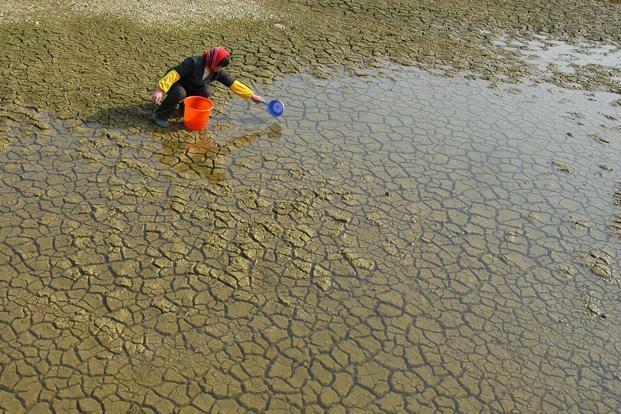 But one issue—one might say the most significant of them all—is being ignored or pushed aside: the environment. A new Politico article claims that U.S. service members are becoming more politically active on social media. Here’s why that’s misleading. The Duke of Wellington, the British victor over Napoleon at Waterloo, once commented that he spent most of his military career wondering what was happening on the other side of the hill. In a sense, many of these age-old military problems are now being solved by electronics combined with robotics. With the contemporary ability we now have to send out unmanned air vehicles, commanders can see in real-time what is happening on the other side of the hill. Some of the technology that guides these reconnaissance drones also allows units, and even individual vehicles and aircraft, to precisely locate themselves. And in the arena of Army artillery, today’s modernized cannons have essentially been turned into large robots. What do I mean by that? The new M-109 series howitzer can unlock its tube, locate itself, compute its own firing data and aim the cannon. The crew loads the projectile and then mostly observes. Similarly, military aircraft can be programmed to launch, fly to designated targets, deliver ordnance and return to base with little human engagement other than the need to insert the mission data. ORLANDO, Fla. — The Air Force needs industry's help to take its next-generation command-and-control systems to the next level, the service chief of staff said March 2. Fusing sensor data and communications from the land, sea, air, space and cyberspace will be key to the U.S. military’s success in future battlefields, Gen. David Goldfein said at the Air Force Association’s annual Air Warfare Symposium here. Multi-domain fusion, or C2 and fusion warfare, as it is called in Air Force jargon, will be a major topic of discussion at the symposium, which is devoting five panels to the topic. “The victory in future conflict … will go to that leader who can command and control his or her forces to create multiple dilemmas from multiple domains … at a pace that would overwhelm any enemy on the planet while denying the enemy the ability to do the same,” he said. International coalitions will be a key strategic asset as areas of operation have become increasing transregional and multi-domain, he said. SAN FRANCISCO — Four years ago, Edward J. Snowden’s disclosures that the federal government was hacking America’s leading technology companies threw the industry into turmoil. Now WikiLeaks has shaken the tech world again by releasing documents Tuesday that appear to show that the Central Intelligence Agency had acquired an array of cyberweapons that could be used to break into Apple and Android smartphones, Windows computers, automotive computer systems, and even smart televisions to conduct surveillance on unwitting users. Major technology companies, including Apple, Google and Microsoft, were trying to assess how badly their core products had been compromised. But one thing clearly had been ruptured yet again: trust between intelligence agencies and Silicon Valley. A key challenge for developing missile defense systems lies in the speed and unpredictability of an offensive missile. The defender must react to the threat without knowing precisely where the launch will come from or where it will go. Therefore, any defense inevitably trades response time for information - the longer the defender waits, the more information there is on where the missile is going, but there is less time to react. Yet the hype about everything “cyber” has obscured three basic truths: cyberwar has never happened in the past, it is not occurring in the present, and it is highly unlikely that it will disturb the future. Indeed, rather than heralding a new era of violent conflict, so far the cyber-era has been defined by the opposite trend: a computer-enabled assault on political violence. Cyberattacks diminish rather than accentuate political violence by making it easier for states, groups, and individuals to engage in two kinds of aggression that do not rise to the level of war: sabotage and espionage. Weaponized computer code and computer-based sabotage operations make it possible to carry out highly targeted attacks on an adversary’s technical systems without directly and physically harming human operators and managers. Computer-assisted attacks make it possible to steal data without placing operatives in dangerous environments, thus reducing the level of personal and political risk. While government and military leaders have incessantly been asking industry for more automation in cyber network defense tools, some are also warning of the increased threat automation is posing on the offensive side. Vice Adm. Michael Gilday, commander of the Navy’s 10 th Fleet and Fleet Cyber Command, pointed out capabilities of the Russians along with the Mirai botnet and associated arms race that’s going on, that the degree of automation and offensive automation is spiraling. As such, the ability to defend against an adversary that’s using automated means and artificial intelligence is becoming more and more difficult, he said Feb. 21 at the AFCEA-UNSI West 2017 conference in San Diego, California. Despite the warnings of these threats. generally many – both in government and in the private threat detection and security sector – are apprehensive to discuss specifics. “I can’t talk about that one. It tends to stray to the classified realm,” Giorgio Bertoli, senior science and technology manager, Intelligence and Information Warfare Directorate at the Communications-Electronics Research, Development and Engineering Center, told C4ISRNET in November regarding details on the use of offensive automation. Cyber deterrence has proven to be quite an elusive end state. In an attempt to help push the conversation forward, the Defense Department Science Board’s Task Force on Cyber Deterrence issued a report at the end of February offering several recommendations for achieving deterrence in cyberspace. While heavy on the DoD side, the report does touch on other realms within the purview of civilian government agencies in what the previous White House administration referred to as a “whole of government” approach to deterring in cyberspace. The recommendations in the report, which incorporates two years of work, “will bolster U.S. cyber deterrence and strengthen U.S. national security,” wrote Craig Fields, chairman of the Defense Science Board. On February 28, Singapore’s defense ministry (MINDEF) disclosed that it had experienced the first breach of its Internet-connected system, resulting in the theft of personal data of hundreds of employees. Though the impact of the breach was quite limited, it nonetheless highlighted the difficulties Singapore faces in confronting its growing cyber challenge (See: “Singapore Reveals Cyber Attack on Defense Ministry”). And it has already spurred the city-state to further ramp up its war against cyber threats. Singapore is no stranger to cyber attacks. As I have pointed out before, it had already been paying keen attention to the cyber domain as a developed, highly-networked country that relies on its reputation for security and stability to serve as a hub for businesses and talent. With the Singapore government itself experiencing breaches over the past few years, the city-state has begun unveiling a series of initiatives to boost cybersecurity, including creating new institutions, training cyber security personnel, and collaborating more with the private sector and other regional actors as well (See: “Singapore’s Cyber War Gets a Boost”). EDITOR’S NOTE: This piece is a chapter in Journalism After Snowden: The Future of Free Press in the Surveillance State, a recently released book from Columbia University Press. The book was part of the Journalism After Snowden initiative, a yearlong series of events and projects from the Tow Center for Digital Journalism in collaboration with CJR. The initiative is funded by The Tow Foundation and the John S. and James L. Knight Foundation. Also read contributions to the book from Alan Rusbridger, Clay Shirky, and Jill Abramson—and Emily Bell’s interview with Edward Snowden. In the end, what kind of change did Edward J. Snowden bring about? In the realm of privacy protection, not much—at least so far. For all the talk on Capitol Hill in the summer of 2013—immediately after the Snowden leaks—about a reassessment of the balance between security and privacy rights, no significant legal changes to the authorities of the National Security Agency or the Foreign Intelligence Surveillance Court have passed Congress since the Snowden leaks. The biggest change in NSA practice ordered by President Barack Obama—his announcement in January 2014 that the government would get out of the business of amassing a vast database of metadata for all the telephone calls made into or out of the United States—finally went into effect at the end of 2015. It gets the government out of the business of retaining the call records of Americans and puts that responsibility on the telecommunications firms. They were reluctant and had to be compelled (and paid) by the government to play this role. Some intelligence officials (and a few candidates for president) have complained that the change will make it harder for the United States to track terrorist communications. But they forget that the NSA itself had considered, at various points, giving up the metadata collection because it was yielding so little. But beyond that, three years after the Snowden revelations, there has been very little government compulsion of the private sector to take on roles in surveillance. Apple and others have resisted the calls to allow “back doors” for encrypted communications—and the Obama administration, at this writing, has been unwilling to take them on. It is another sign of how the tensions between Silicon Valley and the government, born of the Snowden revelations about the government’s exploitation of data collected by American companies, has poisoned a once-vital relationship.